I’ll start this review with a little full disclosure: I never played the first Witcher. I’m not into PC gaming, so Witcher completely slipped under my radar. When Witcher 2 was announced for PC only, I completely ignored the game. I wanted to play the game but I wasn’t going to build a good gaming PC to do so. A year after the initial PC release, an Xbox 360 port of Witcher 2 was announced and I was super excited to finally get into the series. I ended up really enjoying Witcher 2 and couldn’t wait for the inevitable sequel. Three long years later, The Witcher 3: Wild Hunt is finally upon us. Does this sequel live up to all the hype that has been building for the past three years? Or does the game stumble and fall under all the pressure of huge expectations? I’m happy to say that The Witcher 3 has exceeded all my expectations and that developers CD Project RED has made an astounding action RPG for the ages. Witcher 3 tells the story of Geralt of Rivia, a witcher by trade, as he furiously tries to track down his “daughter” Ciri. Geralt is not alone in his pursuit of Ciri, as the menacing Wild Hunt are also trying to track her down as well. 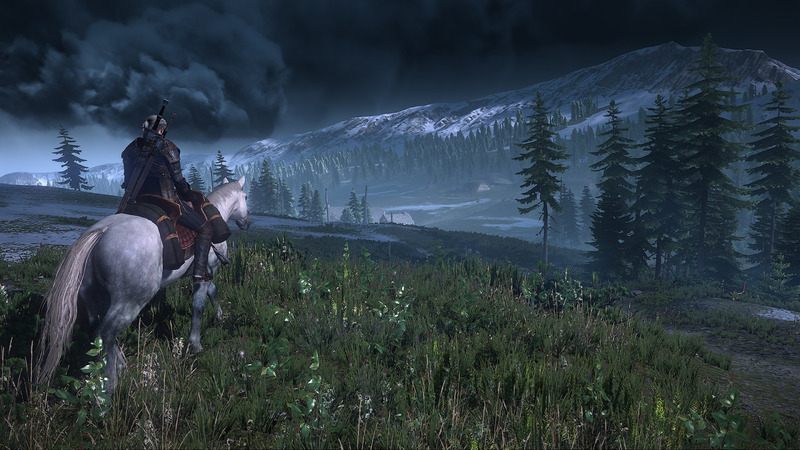 The Witcher 3 is a massive and stunningly beautiful open world game. The game is a graphics powerhouse. I can’t tell you how many times I stopped to look at a sunset or how blown away I was when a storm was approaching. There is so much to do and see and so many side quests to lose yourself in that you may find yourself playing for 15+ hours without touching the main quest line. Unlike Witcher 2, Witcher 3 is completely open world. You can pretty much go anywhere you want at any given time. Scattered around the map are various towns and cities that you can visit. Each of these places has a notice board that contains the games various side quests. My favorite side quests to do are the Witcher contracts. These contracts have you going up against monsters and myths of old. I really enjoyed the detective nature that these missions required. Geralt of Rivia is a professional monster slayer you see. He would never just blindly stumble into a potential fight without knowing what he is going to be facing. This is where Geralt’s witcher senses come into play. Through some detective work like examining blood trails and corpses, Geralt will uncover what monster he is about to face. It’s at this point that you can prepare for battle by brewing and applying oils on your weapons that can increase damage or by drinking potions that have certain beneficial side effects. 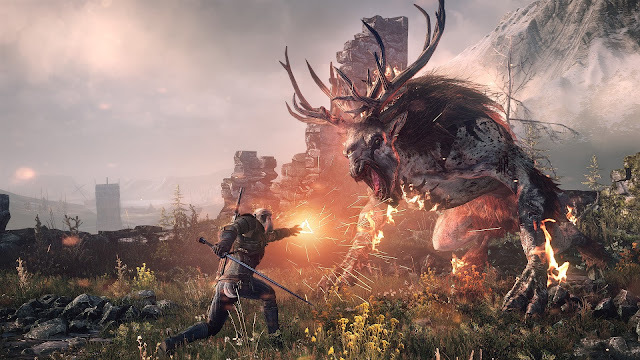 Combat in the game has remained relatively the same from Witcher 2. You have your basic light and heavy attacks along with your “magic” called signs. With a quick press of a button you can use the equipped sign to light an enemy on fire, knock them down with a force push, or put a protective barrier around yourself. But that’s not all. 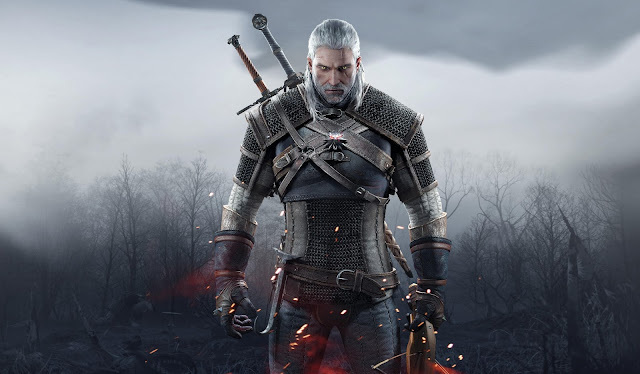 Geralt can also throw different types of bombs at his enemies or use a crossbow to try and headshot enemies at range. How you engage in battle is up to you. There is so much to do in this game. I can’t really stress this enough. There are so many compelling side quests and awesome witcher contracts to do. There are guarded hidden treasures to find and bandit camps to clear. There is card game called Gwent that you can play if you are into that sort of thing. The amount of content in the Witcher 3 is staggering. I’ve put 60 hours into the game and I feel like I haven’t even scratched the surface. I am constantly amazed at how good the game looks and how great the game plays. 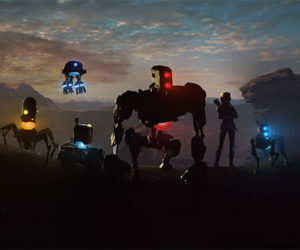 There isn’t enough praise I could heap onto the game other than I implore everyone out there to please play the game. CD Project RED has made an action RPG masterpiece and everyone should experience Geralt of Rivia’s final journey. What I played: 60 hours of the game attaining 24 of 52 achievements.